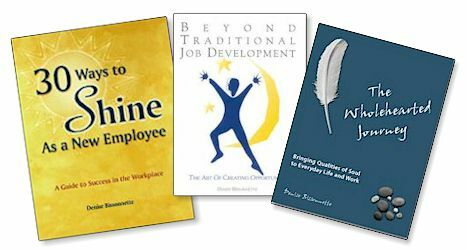 Denise has authored a number of publications that are widely-used by Employment and Training professionals and Career Development professionals throughout North America. 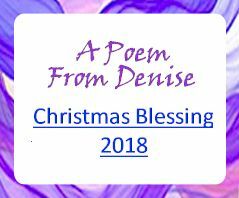 More recently, she has also published The Wholehearted Journey - an inspiring new book that is being enthusiastically received by a much broader audience. It examines the more "spiritual" and personal questions of purpose and meaning in our working lives. Beyond Traditional Job Development - This is a timeless book. Having established itself as "the Job Developer's Bible", it presents an astonishingly fresh, innovative, and practical approach to the profession of the Job Developer. 30 Ways to Shine as a New Employee - A fun and inspiring guidebook to for new employees - focusing on the "soft" skills that enhance job performance and retention. 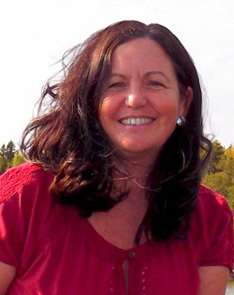 The Wholehearted Journey - Simply put, The Wholehearted Journey is a personal retreat in a book. It is a book of insights gleaned and distilled from a remarkably eclectic array of sources, drawing from the world's great wisdom traditions and culminating in a rich and illuminating guide for living a spirited and wholehearted life. 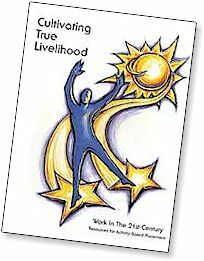 Conversations on Citizenship & People-Centered Work - Denise wrote one of the chapters of this book, commenting on issues like Citizenship, Leadership, and Community. 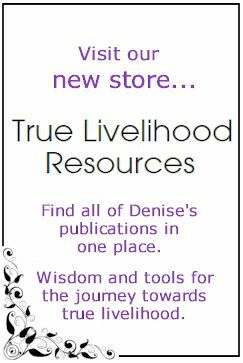 True Livelihood Newsletter - Denise’s free electronic newsletter, offering readers a refreshing mix of practical tools and inspirational ideas. Published several times annually since 2003.